A start-up company from Vancouver, British Columbia is creating the next generation of health and safety gear. 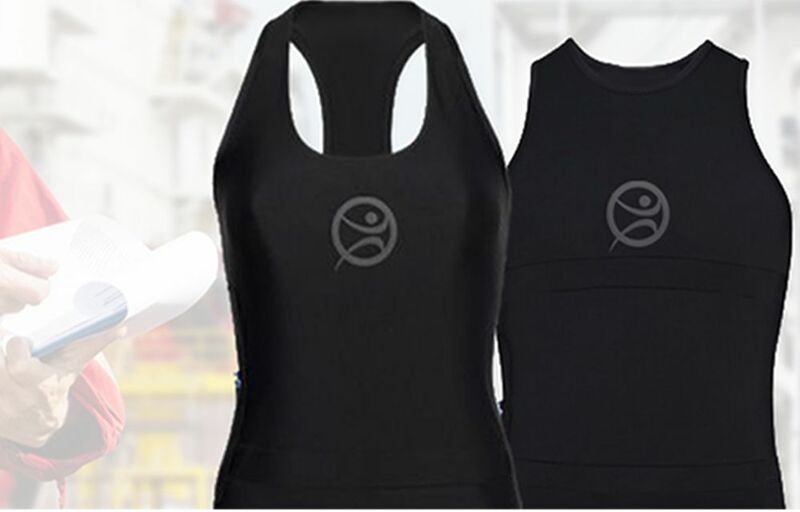 LifeBooster Inc. is creating a line of wearable devices in the form of comfortable t-shirts that are to be worn as preventative safety equipment in the industrial workplace. They will be used as a real-time safety monitoring system that combines seamlessly integrated bio-sensors within high-performance apparel in order to predict and prevent workplace accidents. Having customizable systems, these wearable’s will be able to provide alerts and recommendations that are specific to certain work place environments and employee teams. Unlike traditional reactive-based safety programs, LifeBooster’s product will bring insight into the root cause of injuries and prevents accidents from occurring in the first place. 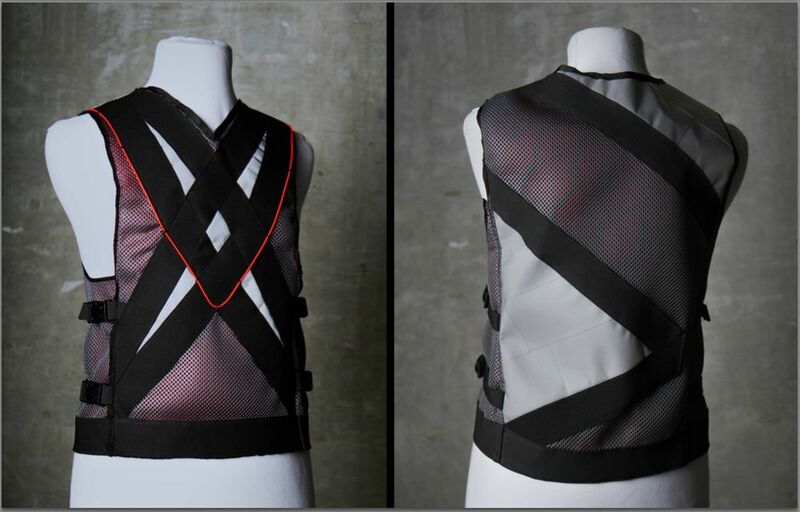 ‘Industrial Safety Vest’, one of the five LifeBooster Inc. prototypes created by students at Emily Carr University. Credit goes to students Travers Henry, JJ Mah, Kristina Mok, Rob Stethem, and Natalie Tillen. One of LifeBooster’s projects includes developing a shirt that helps industrial companies effectively assess Musculoskeletal Injuries (MSI) risks, therefore reducing time lost from work of injured workers, and helping workers manage their disabilities while on the job site. This system is in the form of a secure software platform, where data from these shirts will be sent to after the end of the workday. Wearers can log in and view their personal body metrics giving them the ability to discover where improvements can be made in their daily work activity, and which movements or duties are putting them most at risk for injury. If desired, wearers can even share this data with a physician in order to gain more insight. LifeBooster Inc. just recently finished a project in collaboration with Emily Carr University, where five prototypes were created and tested by students. For more information about LifeBooster Inc., please visit www.lifebooster.ca, or contact Bryan Statham.